The All Tribal Rights’ Protection Forum Manipur (ATRPFM) has on Tuesday served a 48-hour ultimatum to the Government of Manipur to revoke the Cabinet decision of constituting a Cabinet sub-committee to look into the functioning of Autonomous District Councils (ADCs) of Senapati, Churachandpur and Tamenglong. 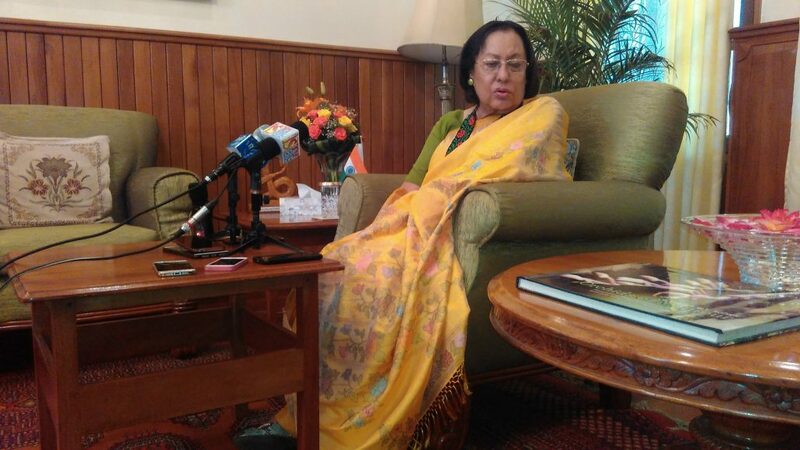 The Forum submitted the ultimatum to Governor of Manipur, Dr Najma A Heptulla seeking her intervention to revoke the Cabinet order within 48 hours. The Forum also threatened to launch intense forms of agitation if the government fails to respect its demand. According to the Forum, on August 23, the Secretary of the Tribal Affairs and Hills (TA & Hills), Government of Manipur, issued an order in pursuance to a decision of the State Cabinet to constitute a Cabinet sub-committee to look into the functioning of Autonomous District Councils of Senapati, Churachandpur and Tamenglong. Consequently, a six-member cabinet sub-committee was constituted. The Forum maintained that ‘by virtue of item No 2 of the Scheduled Matters in the Manipur Legislative Assembly (Hill Areas Committee) order, 1972 under Article 371C of the Constitution, the constitutional power and functioning of district councils in hill areas are absolutely within the purview of the Hill Areas Committee’. It further stated that formation of a new Cabinet sub-committee to look into the functioning of the Autonomous District Councils is ‘arbitrary, biased and unconstitutional’.